Here’s a list of 15 awesome gifts to impress your girlfriend this Valentine’s Day. From fashion, tech gadget, decor, accessories to more sweet ideas. Present the perfect gift to your bae, make her feel loved on this special day and you will earn the best boyfriend status. Scroll down to discover Top 15 Valentine’s Day Gifts for Girlfriend. Make her smile with a pretty necklace this Valentine’s Day. A heart themed necklace is perfect for this season of love. 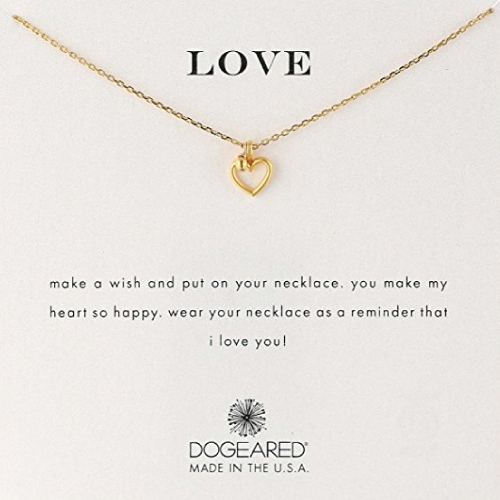 This “Love” necklace looks lovely and stylish on girls of all ages. Simple heart shaped pendant with a delicate gold chain. It comes attached to a meaningful message card. Makes one of the best Valentines Day gifts for girlfriend. 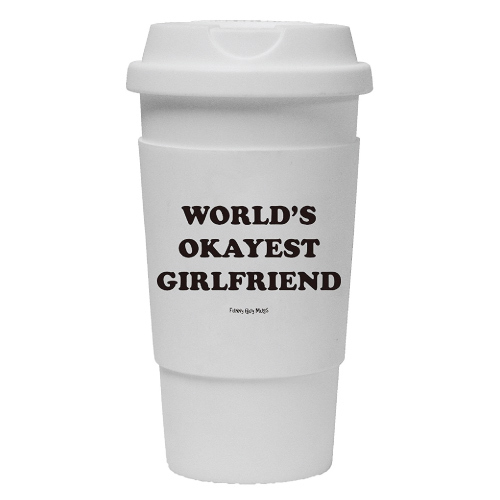 A cool tumbler for the world’s okayest girlfriend. 16 oz capacity, double walled feature, screw-on lid. Perfect for morning coffee or tea. This set of matching keychains set is a great small Valentine’s Day gift. 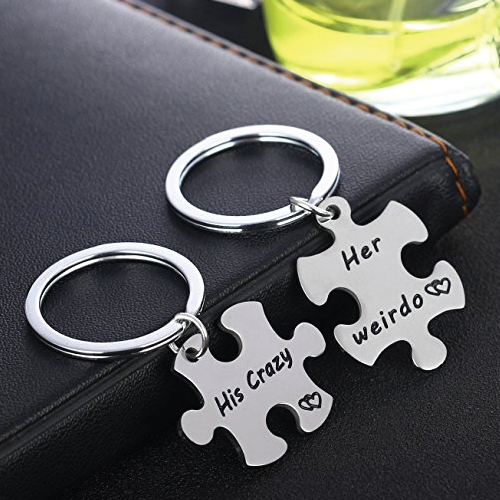 Matching puzzle pieces, engraved with “his crazy” and “her weirdo”. They are sweet and cute. Your girlfriend will definitely love it! 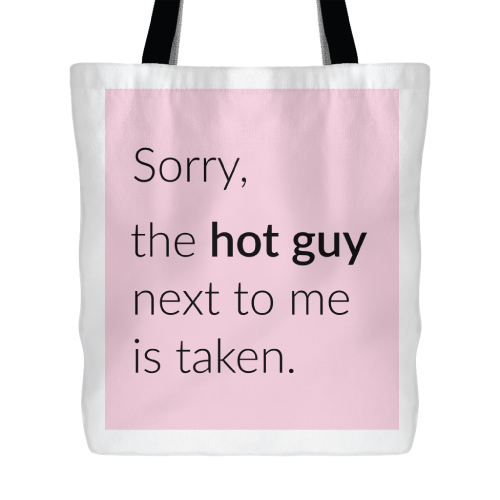 A multipurpose fabric tote with an eye-catching statement that reads “Sorry, the hot guy next to me is taken”. Make her carry this bag when you are going out together and have a good laugh. Let her declare to the world that she owns the “hot guy”, which is obviously you. Smart, eh? Tech gift for girlfriend. This popular phone accessory is useful and good-looking. It makes holding a phone easier. You can attach it to the back of the phone to expand the grip or use it as a convenient stand. It is also collapsible and repositionable making it easier to fit in the purse. 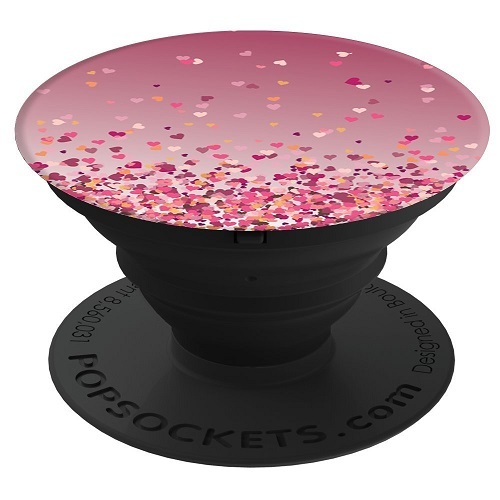 Popsockets is available in many awesome designs. This beautiful heart confetti design suits Valentine’s Day perfectly. Another nice small gift for girlfriend this February. Soft and comfy. Price under $10. 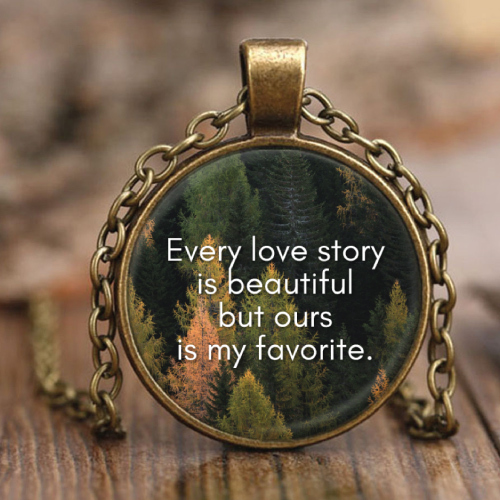 Antique style necklace with a love quote that reads “Every love story is beautiful but ours is my favorite”. A sentimental and romantic gift to touch her heart. Fragrance always makes it to the top of the list of Valentines Day gifts for her. 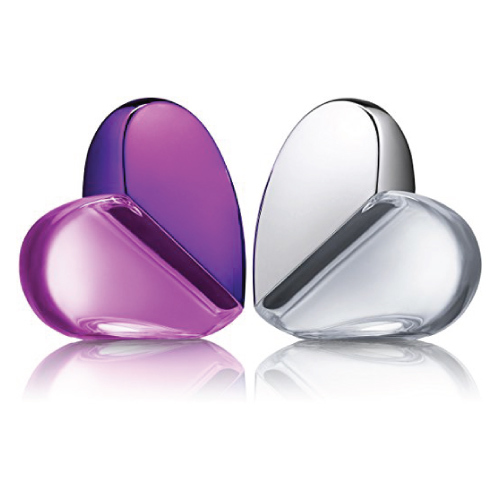 We recommend this set of two heart-shaped perfumes. Adorable bottles, mini in size, two unique scents. Perfect for girls of all ages. A charming little book for your girlfriend. 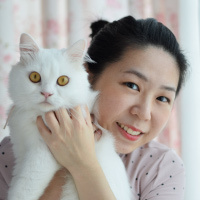 It is filled with silly, sweet and funny content illustrating all the moments between meeting that special someone, falling for them, and finding the comfort of devotion. 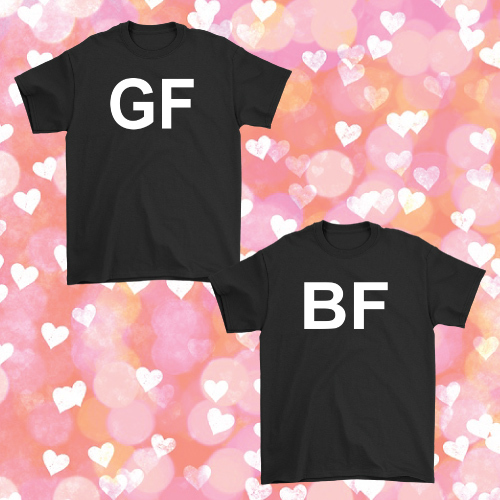 Matching couple T-shirts for the lovey-dovey couples. 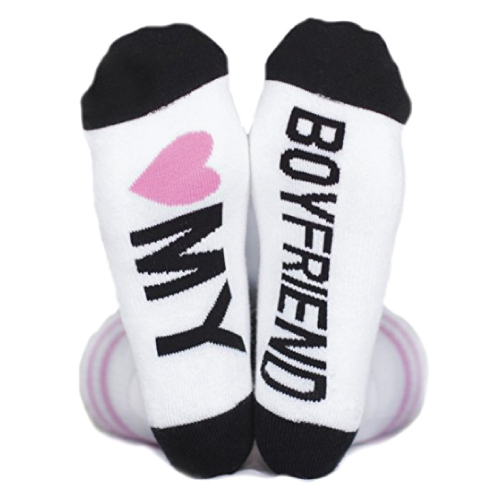 Wear them together and hit the street to show the world your love. Give her more heart this Valentine’s Day. 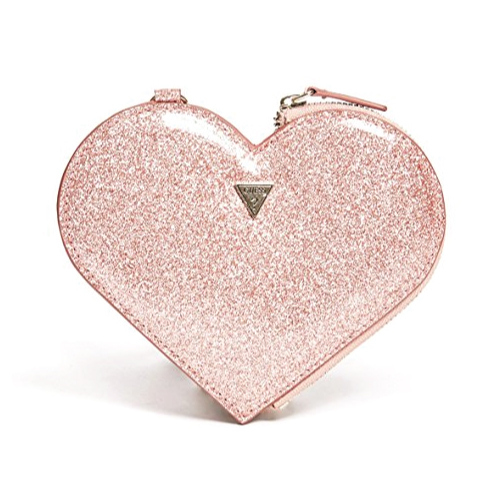 Get her this glittering heart-shaped coin purse by GUESS. Features one card slot inside and a matching wristlet strap. Fill her room with soothing aromatic scent. Let this pure soy candle brings you to a lush garden filled with gardenias. Skip the chocolates this Valentine’s Day…instead, grab a handful of Peanuts! 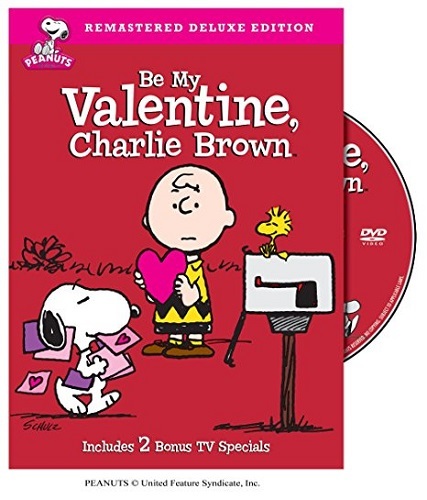 Watch the Peanuts gang brings sweetness to matters of the heart. Have a fun time watching this cartoon together. 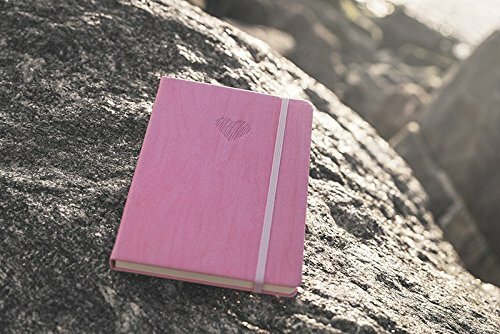 Nice journal with pink PU leather cover for her to write down thoughts and ideas. We have come to an end of our list of Top Valentine’s Day Gifts for Girlfriend. 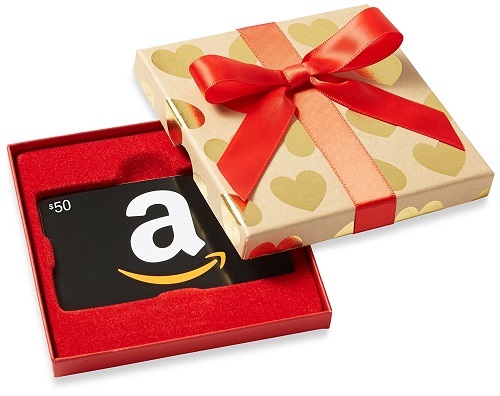 If you are still not sure what to get for your girlfriend, you can always get a gift card. 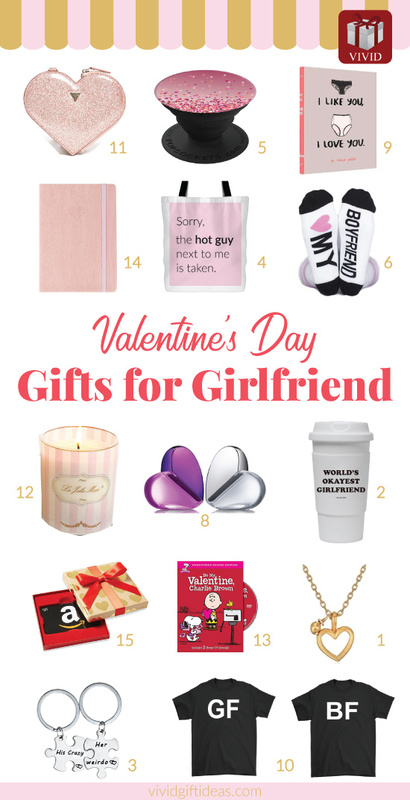 That concludes our list of 2019 Best Valentine’s Day gifts for girlfriend. Thanks for reading and have a sweet Valentine’s Day with your bae. Love your gift ideas for Valentine’s Day, especially the tote bag…think it’s awesome!